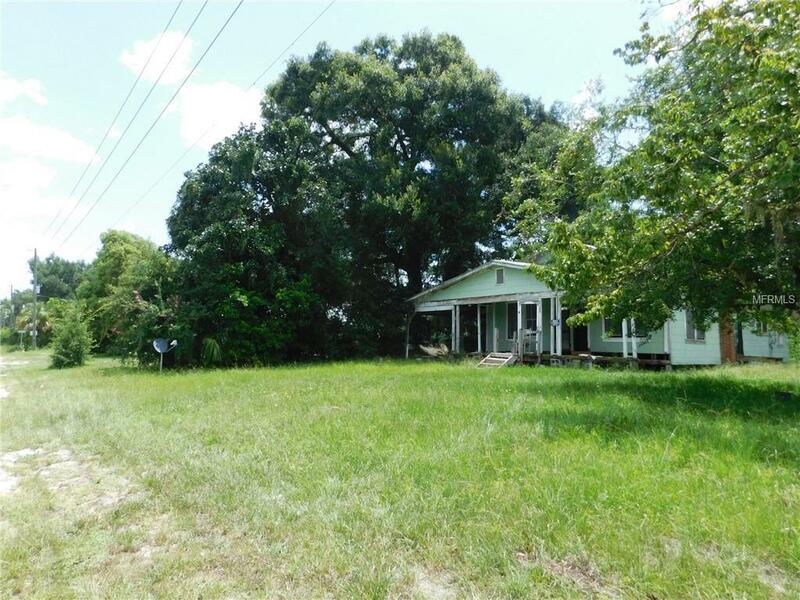 *** PRICE REDUCED $50K , HANDYMAN SPECIAL, ESTATE SALE, PRICED FOR QUICK SALE , BRING CASH OFFERS*** 3 Bedroom 1 Bath Home on 15.50 MOL Acres, 470 Ft of Frontage MOL on Trilby Rd, Zoned R-3 Single Family Residential, Land Use R-6, Allows for 6 units per Acre. Minimum Lot size 75 X 100. Property consists of Five attached parcels: PID#: 2723210000028000000; 27232100000230000000; 2723210000027000000;2723210040014000010; 2723210040015000000. Home has well, septic and power onsite. Home is not habitable and needs to be completely rebuilt. Structural damage due to termites. Small Pond located on the back of the site. Propertys access is on Paved Road. One block from the Withlacoochee State Trail. Easy access to HYW 98. All room dimensions are estimates, verify prior to offer. Sold AS IS with Right to Inspect. Please Confirm all Current Zoning, Allowed Uses, Development Density and Requirements Prior to Offer. Additional Lease Restrictions Prior To Offer. Check With Local Zoning Department Regarding Any Leasing Restrictions And Requirements.